Savhanna Korver believes that teaching is one of the most important jobs a person can do. Teachers, good and bad, have a lasting effect on their students, and Korver wants to have a positive effect on the lives of the children she teaches in the future. 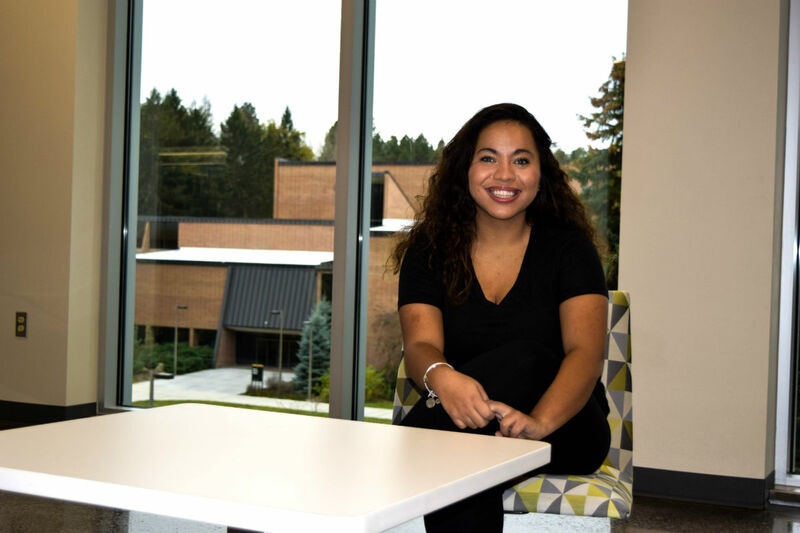 Her experience has been shaped not just by teaching and learning in the classroom, but also by the research she conducted over the course of her junior year with Vanessa Anthony-Stevens, an assistant professor of social and cultural studies. The focus of their research was diversity in the classroom. Korver relaxes in the newly remodeled Education Building. Korver gained knowledge by transcribing interviews conducted by Antho­ny-Stevens, and by accompanying her on field trips that broadened her understanding of how a community can shape a classroom’s diversity. An experience that stood out to Korver was a visit to the Nez Perce tribe’s reservation in Lapwai, Idaho. There, she spent time observing teachers in their classrooms, visited the local fish hatchery and learned how the school incorporated cultural diversity. She felt a strong sense of community in Lapwai, and saw that community is a part of implementing cultural diversity. Working with Anthony-Stevens has been inspiring for Korver. Ultimately, what will be a rewarding career for Korver and others like her will be a benefit to future generations. “Since we live in a country that has such an emphasis on education, we should have good educators,” she said. 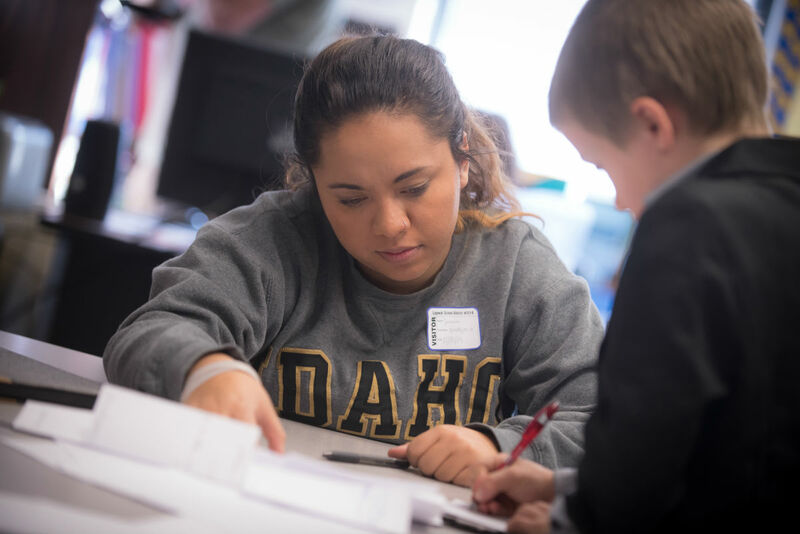 Korver works with students in Lapwai, Idaho, in this photo by UI Photo Services. WRITER: Madison Billingsley, a senior from Covington, Washington, is majoring in creative writing. PHOTOGRAPHER: Madelen Johansson is an international student from Tibro, Sweden, and is majoring in interior design.